Before trichotillomania got hold of them, I never in the slightest comprehended just how important eyebrows would become to me. Many people don't even give a second thought to the two hairy slithers that sit above their eyes, but that completely changes when you are left without them. Imagine having no eyebrows at all, and imagine having to guess where to draw them (and draw them well) every single day. It's tiring, frustrating and incredibly time-consuming. You stare at your bald reflection and recoil at just how bizarre your face looks without them, paranoid that anyone who sees would immediately look at you with those same feelings of disgust. You try your best to hide behind your daily veil of make-up, but really you still believe that people are seeing through your dodgy-shaped and poorly-drawn disguise. Every morning I woke up with the same self-hatred, the same repulsion of seeing myself without the eyebrows that are so important to framing your face. Thinking that I looked like an alien without them. Wondering what my boyfriend really thought when he saw me without make-up (regardless of what he told me). Convinced that other people saw me the way I saw myself. Every morning I'd reach for my trusty brow pencil and sketch on a vague shape, guessing at where my non-existent eyebrows should be. Drawing them on as naturally as I could, stepping back, sighing in disappointment, wiping them off and starting again from scratch. Repeat (sometimes with tears of frustration added in for extra measure). I'd avoid certain activities for fear of my brows wiping off by accident; swimming, exercise, staying over a friend's house, just trying to scratch an itch filled me with dread. Despite coming to terms with trichotillomania, the consequences of it still get to me. Getting my eyebrows tattooed was something I had been considering for the past couple of years. I'd rejected the idea many a time, convincing myself that there's no need to invest in the cosmetic treatment, and instead I would just dedicate myself to not pulling my eyebrows out and letting them come back through. As you can imagine, this never happened. I kept pulling, I remained bald. It is definitely not a decision to take lightly. Not only is it incredibly costly, but you have to be comfortable with the idea of having that shape and style for the next two years. No matter where your eyebrows want to grow back through naturally, you are stuck with what you have. It's not like drawing them on where you can wipe them off and start again if you don't like it. When Sian Dellar got in contact about having the eyebrow tattoo treatment done, it was at a time when I was totally ready for it. I had mulled over the pros and cons for a couple of years, and finally leapt at the opportunity to get them done. It was 100% the right decision for me. Sian Dellar is a semi-permanent make-up specialist based on Harley Street, London and offers a range of treatments such as eyebrow tattooing (powder effect or hair stroke effect), eyeliner tattooing (to create the illusion of thicker lashes or a semi-permanent eyeliner look), lip tattooing (liner, blush or full tint) and eyelash extensions. If you want a blockier look, then the powder effect is a subtle way to shade in any sparse areas. If you have hair loss or desire an extra-natural look, then individual hair strokes will be the best option for you. The semi-permanent nature of the tattooing doesn't leave the pigment so far under your skin's surface, meaning it's likely for the colour to last up to 2 years (they recommend getting it topped up every year or so to keep it looking fresh). It's a great idea in our increasingly hectic lives to have this temporary solution, and eradicates the stress of getting your make-up perfect; just wake up in the morning and it's already done for you. 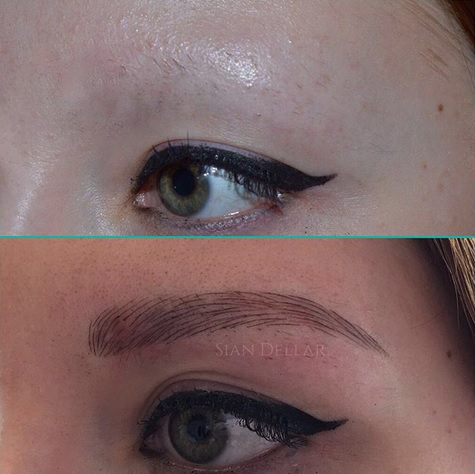 Opting for the more natural 3D hair stroke effect (which can usually be used to fill in sparse areas or create perfect brows from scratch), Sian uses a microblading technique to recreate individual hairs positioned in the way they would normally grow. Microblading (or eyebrow embroidery) involves manually using an incredibly fine blade made up of tiny needles to create natural, 'feathering' strokes and deposit the hypo-allergenic pigments just below the surface of your skin. During the initial consultation, Sian runs through the options, techniques, colour and shape. It's so important to note that deciding on the colour and shape is a dialogue; whilst I trusted Sian 100% with choosing the right colour for me, I wanted far more input into the shape. Going from having nothing to a full set of brows, I wanted to make sure I was completely and utterly happy with them- remember you will have these for 2 years! Whilst I was probably far fussier than I should've been (I was very nervous and particular about what I wanted), after drawing the initial shape then tweaking a couple of times, Sian got it absolutely perfect. If you're not happy with the shape, do say- it's a collaborative process, but it's important to remember that Sian has won awards for a reason! I also found that when I looked in the mirror, I was terrified because my brows looked slightly wonky in the reflection. Taking a photo of them revealed that they were in fact even; so if in doubt, remember that your reflection isn't what other people are seeing! I felt so comfortable and at ease with Sian as soon as I walked in; she is so understanding and truly listens to what you want and works towards that. It's incredibly important to feel like you are in safe hands, and Sian certainly does this. It can be daunting having to take your make-up off and bare your bald brows to a stranger, but just remember that Sian sees so many clients who suffer from hair loss due to a wide range of reasons, so she is used to seeing it; creating brows from scratch is certainly no challenge for her. Once the shape was pencilled on, Sian applied numbing cream to the area then cracked on with the tattooing. It only took around 20-30 minutes for both brows to be completed. You may hear people saying that nowadays cosmetic tattooing is relatively pain-free, but I have to admit that I did find it quite painful. Not dissimilar to a series of small, sharp scratches over and over again, I thought I had quite a high pain threshold but found this hurt far more than a regular tattoo- even with numbing cream! Regardless, the treatment won't take more than 30 minutes and the results are more than worth the discomfort! The healing process usually takes between a week or two. You are given a small pot of balm which you need to apply over your brows two or three times a day, depending on how dry your skin tends to get. Mine started to get quite itchy and flakey around the 5 day mark and didn't totally heal until week 2, but this varies from person to person. During this healing period, you cannot get your brows wet or put any kind of skincare product or make-up on them as this will hinder the process. Be really strict with yourself about this, as you don't want to jeopardise your new brows! 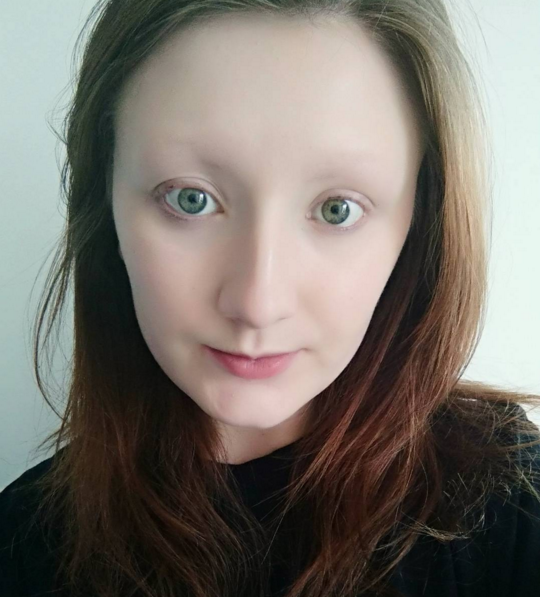 For trichotillomania sufferers, you cannot pick at your brows during this time either (I know it's hard, but your brows will be ruined if you do). I probably found this the most difficult part of the healing process as I could feel tiny new eyebrow hairs coming through which I just desperately wanted to pull out. As the eyebrows start to heal, they will begin to shed; this is not just the skin, but the pigment too. I got so scared when flakes of my new eyebrow hairs started falling off (sometimes chunks at a time!) and revealed nothing underneath, but this patchiness is totally normal. The pigment takes to different areas of the skin in different ways, and even if, like me, you're left with sparse gaps, you have a top-up appointment after 4 weeks to rectify any of these areas. Once flaked off, you should find the majority of the pigment comes back through, although it will fade by a significant amount (also sorted out at the top-up). If you are worried about anything, always get in touch with the specialist just to double-check! At your top-up, Sian goes through the exact same process as before. This is your chance to fill in any sparse areas or darken the colour if you fancy. The healing process is also exactly the same (I've got itchy brows as I type). 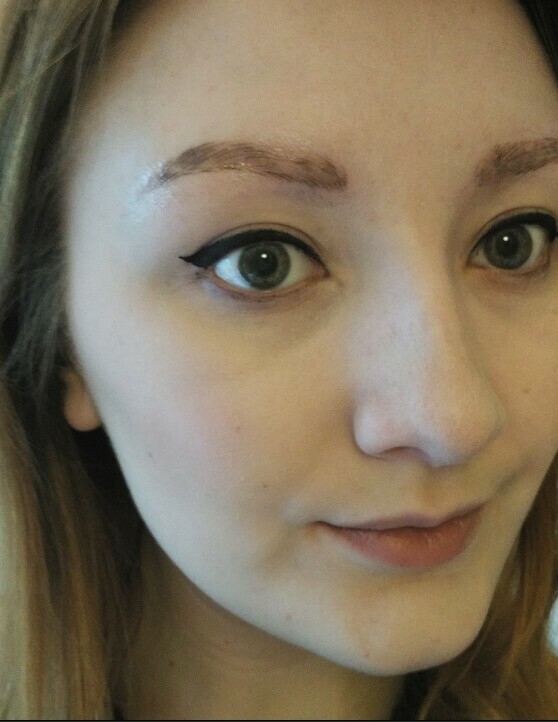 Patchy brows during the healing process, about 10 days in. The results are simply stunning. I nearly cried at my top-up appointment because I was so overwhelmed by the whole experience. It has truly changed my life for the better. I don't have to worry about drawing my eyebrows on every morning, and I no longer get paranoid that people are staring at me. If they do, I think it's because they're admiring my brows now! Any words I write in this post cannot justify just how grateful I am for Sian Dellar's eyebrow wizardry. My eyebrows are flawless and look so incredibly natural. Everything about them is perfect; from the shape to the colour. I am so impressed, and while there are quite a lot of things you should consider before taking the plunge (style, cost, permanency, pain tolerance to name a few), it has been utterly worth it for me, and I now cannot imagine my life without having them done. For anyone who is self conscious about their brows or those who suffer from hair loss, this is an ideal solution if you no longer want to worry about not having eyebrows as the tattooing of individual hairs makes the results look so natural. 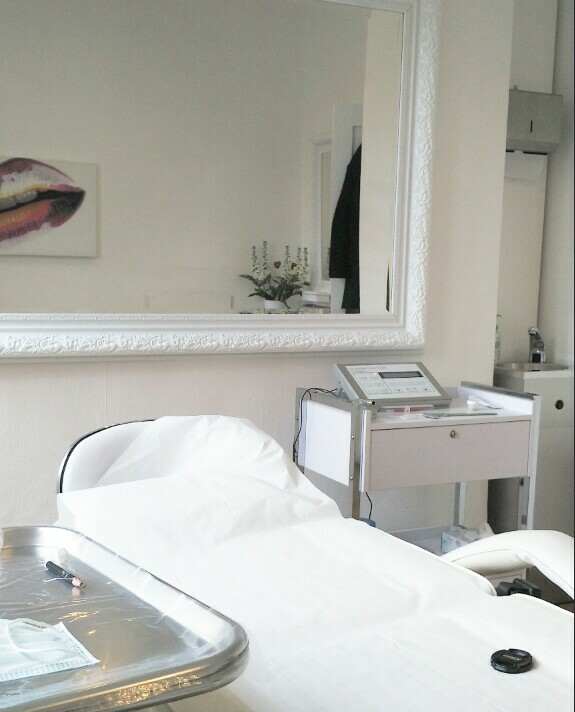 If you fancy looking into semi-permanent treatments with Sian and perhaps booking one for yourself, check out her website www.permanentmakeup-specialist.com or give her a call on 020 7717 9665. You won't regret it! UPDATE: Due to an increase in prices, I unfortunately haven't been back to see Sian, which is such a shame as her work is incredible. If you can afford the costs, I would 100% recommend seeing her (it is a worthwhile investment, after all). Since, I have been to Microblading Beauty and most recently Samantha Trace Cosmetics. I see Sam Trace as being the place I return to in the future; due to a mixture of location, price and her amazing talent and empathy when it comes to dealing with hair loss. You can read all of my microblading blog posts and reviews here if you wanted to find out more. 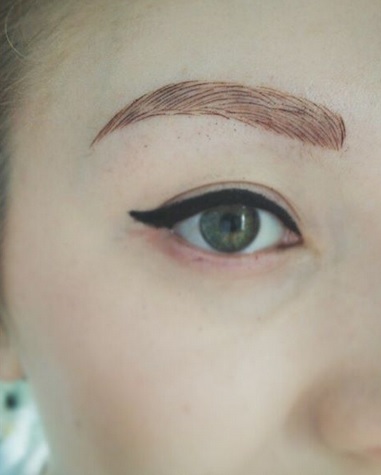 Have you ever considered getting your eyebrows tattooed? Have you had any semi-permanent make-up before? I'd love to hear your thoughts on this. No worries, so glad you like the blog. Sorry to hear that your family isn't the most supportive, that must be frustrating! hey sophie, i got my eyebrow done 8 days ago, when the scabs came off there's almost nothing underneath and i can hardly see any strokes! my beautician assured me that it is normal and the color will come back out. so my eyebrows are now looking like how yours did in your photo after 10 days. Mine is after the 1st touch up by the way .When did the color come back out? thank you for your reply and reassurance, this is already a result of my top so i'm a little worried that the whole embroidery didn't go well. did you go through the same process of fading eyebrows after your 1st touch up though? your eyebrows are looking great by the way! I have alopecia and lost all my brows, lashes hair etc. I don't mind being bald- it's fun in the summer- but brows frame the face! I got the tattoos a couple days ago and panicked when the patches happened. This helped ease me immeasurably! I'm glad it helped, hope you're enjoying your new brows! I have trichotillomania and reading your blog is so weird to me, because.. it’s like reading something I've written that I have no memory of writing., is that weird? I’ve never related to something so deeply. I’m getting my eyebrows tattooed on today and I’m so freaking nervous, what will I do when the color fades and I can’t color the patchy parts because my skin is healing still? I won’t be able to leave my room for weeks.. I can do this. I have to. Hi Heather, thanks so much for your comment and I'm so glad you can relate to my rambles! It is frustrating when they fade but (although it may seem bad to you) I'm sure no one will think twice about them. They won't be faded for long and it's a small price to pay for amazing brows! I hope everything goes well!! 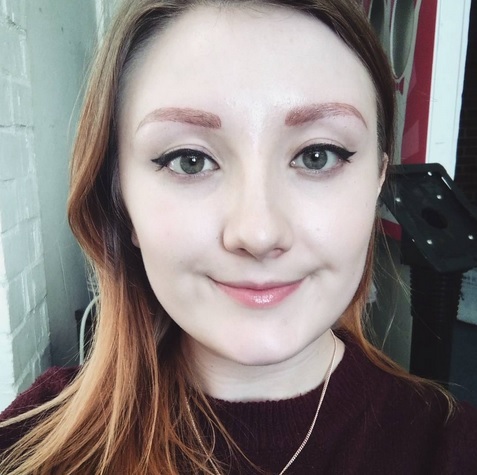 Hi Sophie, I stumbled across this page when researching microblading and honestly I feel like I wrote this blog myself. I honestly relate to every single thing you said and its a relief to know I'm not the only one feeling it. I'm also 23 and also suffered with trich since I was 3. 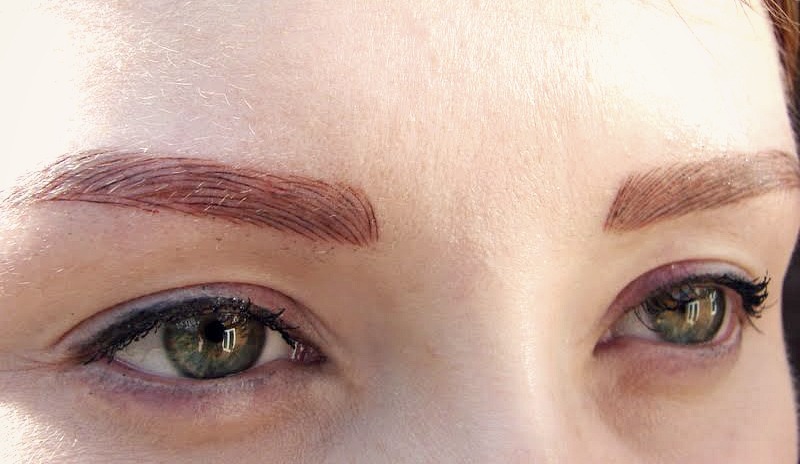 I had my brows done a couple of years ago but after promising microblading, the beautician actually did a 3D brows job so they looked awful. Thankfully they've completely disappeared now but as you can imagine I'm extra worried at the thought of letting someone loose on my non-existent brows again! Do they really last? They look amazing. Do you mind me asking the price range? Hi Yasmine! I'm so glad you can relate to my posts...it's nice to know I'm also not alone in my thoughts/experiences! They do last a decent amount of time- I would say about 6 months good wear and then up to a year or so being able to use the rough colour and outline to fill them in with ease. Hi miss Sophie! I live in California, so I can’t exactly go to the place you got your eyebrows done. How can I find a good place to go here? Hi Madison! If you have instagram i would search microbladinh hashtags near to your location to find artists. Or a good old Google!